Groff added aerial mapping and imagery to its service portfolio in 2017. 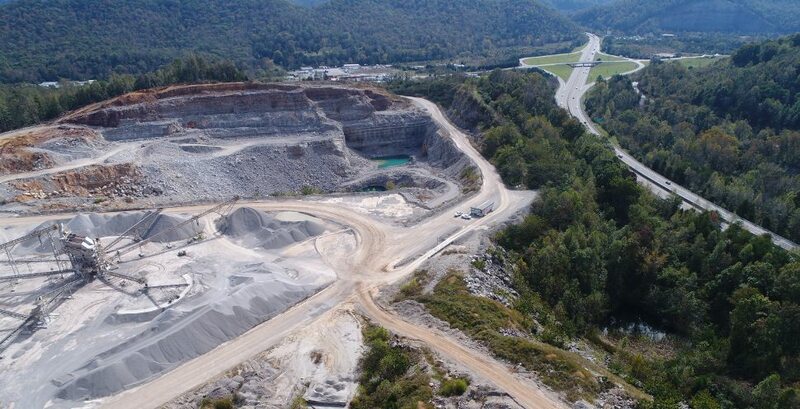 We offer affordable, high quality, aerial topographic mapping for your quarry and stockpile volumetric measurements. The end product can be tailored to suit your specific needs, but most often our clients want topographic mapping and imagery that is compatible with AutoCAD and does not require large, unwieldly, files that may crash CAD systems. Just need a wall map? No problem. We can provide any size you require. Looking for GIS compatible data. We are experts in GIS! Our aerial mapping service is drone-based photogrammetry. All mapping uses ground control points (GCP) that are surveyed with high accuracy GNSS receivers prior to each flight. Our pilots are Part 107 certified by the Federal Aviation Administration (FAA). Accuracy of surveys are checked with GCP independent of the survey, and all our products include a statement of accuracy per ASPRS standards. Need an independent 3rd party calculation of volumes moved by contractors? In addition to the standard of care we provide for all mapping services, we can certify our work by a licensed engineer.